Google recently launched Google+, the company's latest attempt to get social networking right after its social disaster, Google Buzz. After trying out Google's new social network for several hours, I think Google may have finally figured out how to do social. 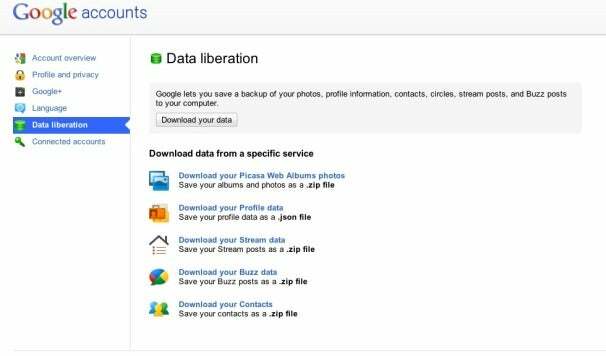 Google+ is focused on letting you share photos, links, and videos with your online friends, family and acquaintances. The new service is also designed to let you target your sharing with specific people instead of the default "share with everyone" approach that services like Facebook and Twitter offer. Google+ also offers video chat and instant messaging features that let you chat with individuals or groups of up to 10 people at once. The new service is only available to a limited number of people right now, but once it opens up to the public Google+ could prove to be a popular Facebook alternative. Here's a look at some of the features and drawbacks I found while putting Google+ through its paces. 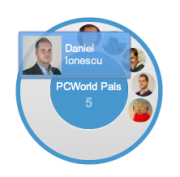 Sharing content with friends in Google+ starts with Circles, which are basically groups of friends organized by you. The idea behind Circles is that you may only want to share certain pieces of content such as a NSFW video or a link to a hot button political news story with certain people. As Google sees it, the way we currently share on social networks such as Facebook, Twitter and even Buzz is sloppy (share with everyone all the time), scary (do you really want your coworkers to see everything you do online?) and insensitive (very little nuance in the way you define a friend or family member). That's where Circles comes in. You assign people to your Circles by simply dragging and dropping their contact card into the group you want them to be a part of and that's it. Circles is a quick and easy way to organize your friends, and it's what Facebook's friends lists should have been. Google+ is integrated into the navigation bar at the top of almost all Google products (not including Blogger and YouTube). That way you can always keep tabs on the latest notifications from Google+. Even better, you don't have to travel back to the Google+ home page to see what's going on. Just click on the notification icon and the updated conversation appears in a drop-down window on the page you're viewing. You can then add your own comment, mute the post, move through other conversations on Google+ or go back to the home page. The navigation bar also includes a "Share" button so you can share new content without shuffling between pages.